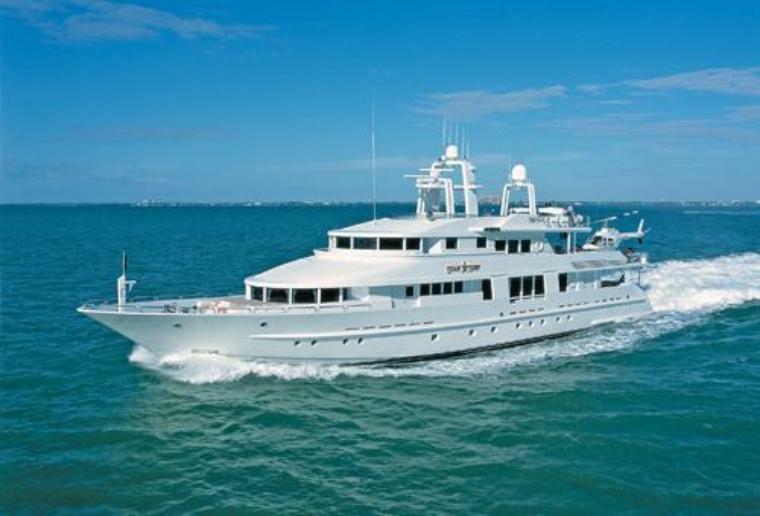 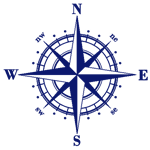 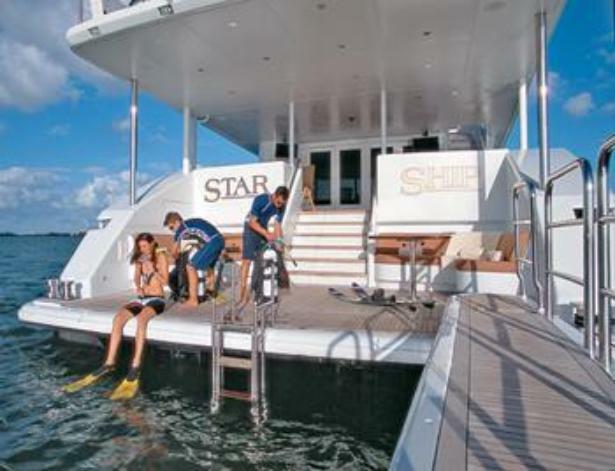 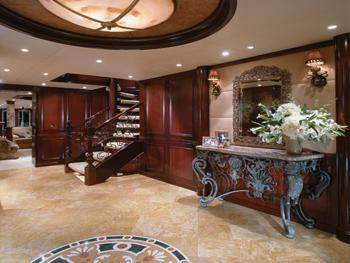 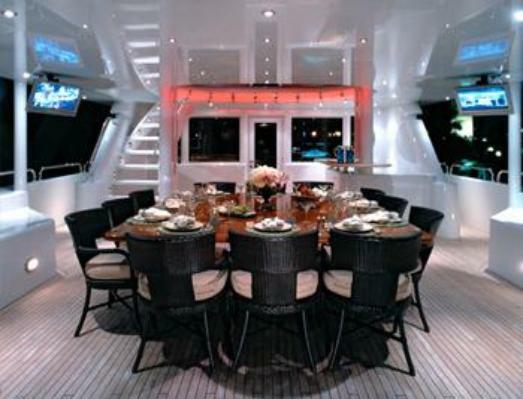 Superb in style, service and amenities, STAR SHIP is a market leader for Florida area term and VIP daily yacht charters. 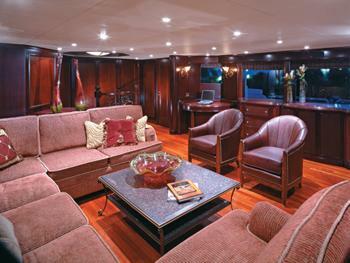 Four total decks comprised of lovely staterooms below, finely appointed lounge and dining areas mid, glorious sun-splashed areas topside. 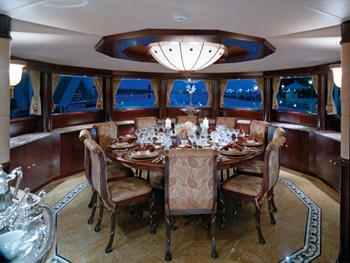 DECK 1: 5 cabins can easily accommodate 10 guests and with up to 9 crew, your every wish is achievable. 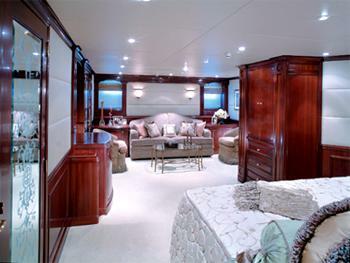 The master cabin is full beam and even with a king bed is quite spacious. 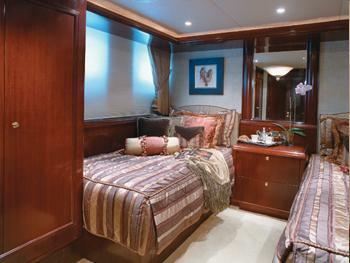 The two VIP cabins each have a king bed, making this one amenable to groups seeking a fair and balanced sleeping arrangement. 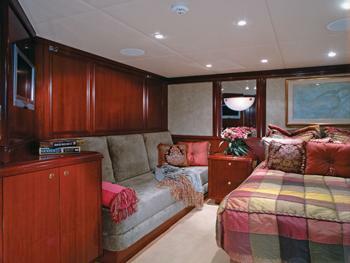 Cabin 4 has a queen bed and cabin 5 features two twin beds. 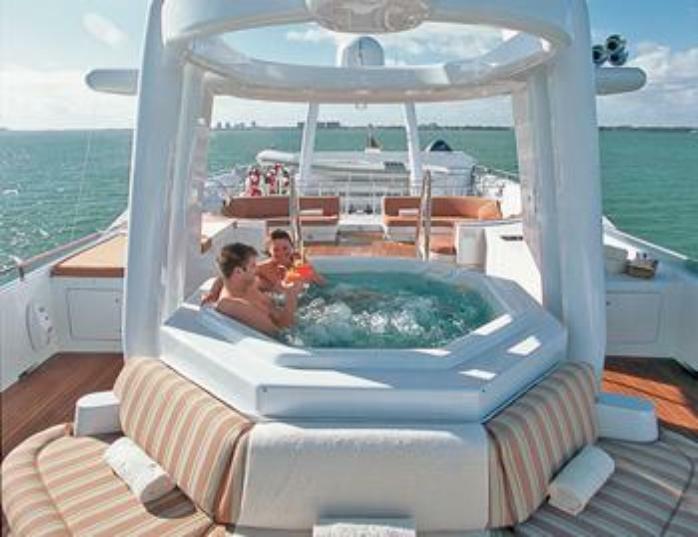 All staterooms have a private bath. 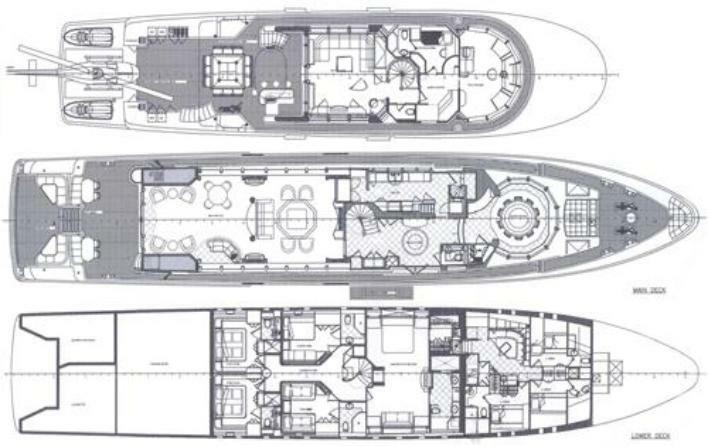 DECK 2: Formal dining forward for 10 guests, granite floor foyer / galley central, lavish main salon, gorgeous aft deck area with easy water access via the swimming platform. 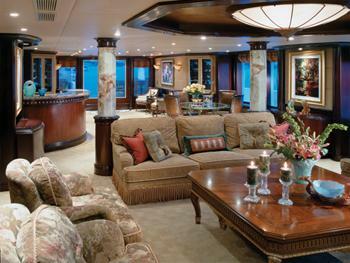 DECK 3: Wheelhouse, captain’s quarters, club lounge, aft deck seating and heliport (owner only). 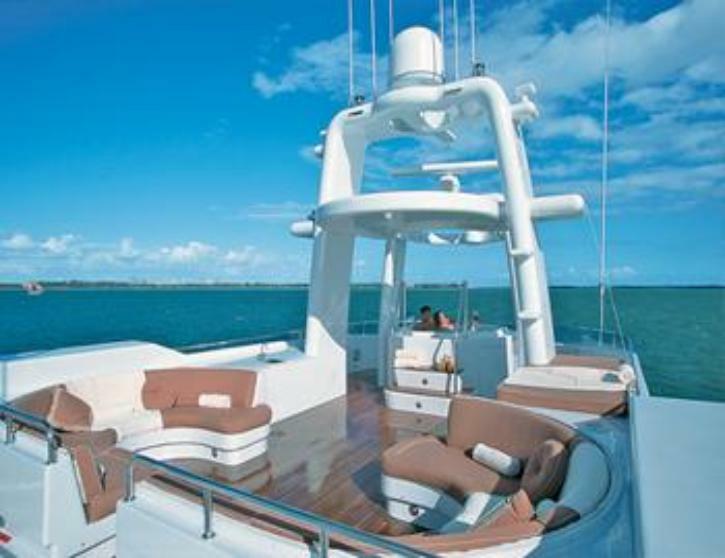 DECK 4: Sunshine galore, deck jacuzzi, serpentine sofa seating, spectacular views.